The garden is in a grove of palm trees in downtown Baghdad, as clean and manicured as a golf course, and surrounded by a high wall to keep out the noise and filth of the city. Ahmed Chalabi, 67, a man the world once thought would eventually be running Iraq, is hosting an event in the garden of his recently renovated house in the city. There are no statesmen, ministers or diplomats in attendance, but there are two dozen students and a professor from the university. Chalabi has served his guests kebabs and rice, and he has promised them that he will put in a good word so that their poorly equipped university gets new blackboards, tables and chairs. Now they are lining up to pose for photographs with the former Iraqi deputy prime minister and oil minister, who is now a businessman. "Without Ahmed Chalabi," says one of the students, "Saddam Hussein would never have been overthrown." 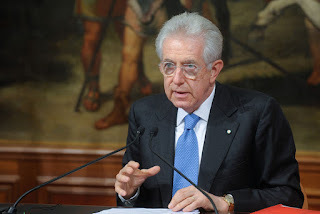 Interviewed at the group's new headquarters in Cairo, he called such unity a "long-term objective", but seemed alive to the possibilities thrown up by a ferment in which Islamists are driving mainstream politics across North Africa and beyond. 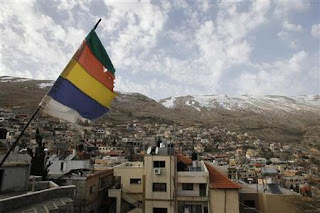 "This region is in a period of deep-rooted change," the 64-year-old said. "Starting from Tunisia and ending with Syria, the nature of the region and alliances will change." 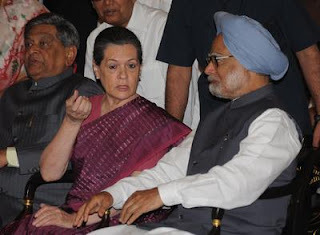 India’s foreign policy ever since Independence stands distinguished by being consistently strategically-deficit in terms of safeguarding India’s national security interests. The idealistic and morally driven Non Alignment foreign policy devoid of a strategic vision during the Cold War years was a heavy millstone that robbed India of a vibrant foreign policy driven by a strategic vision and a securing of India’s strategic interests. Such a foreign policy formulation could have been rationalised on the plea that India was then not economically and militarily strong and to steer clear of Cold War confrontations, an Indian foreign policy based on a high moralistic content bordering on neutralism would shield India against the Cold War strategic buffetings Read the full story here. 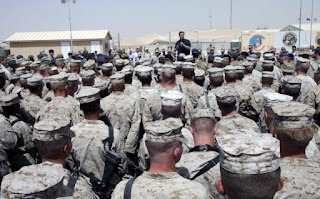 Is Afghanistan Going to Hurt President Obama in 2012? In one of the major foreign policy speeches that Barack Obama gave in 2008, he declared that "the central front in the war on terror is not Iraq, and it never was. 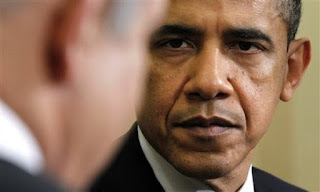 That's why ... my new strategy will be taking the fight to al Qaeda in Afghanistan and Pakistan." In the paragraphs that followed he set forth several goals: bringing Osama bin Laden to justice, routing the Taliban, killing al Qaeda fighters in Afghanistan and Pakistan, and building a secure, stable Afghan democracy. In keeping with their post-Soviet realpolitik, Russian officials consistently voice support for NATO’s Afghanistan mission. After all, they don’twant NATO forces to withdraw from Afghanistan too soon for fear that the Afghan War burden will be dumped on them. But should the alliance’s stabilization effort succeed, Russians will be the first to demand the departure of Western troops. And in the meantime, Russian officials are determined to constrain NATO’s military presence in Eurasia by making it dependent on Moscow’s goodwill. 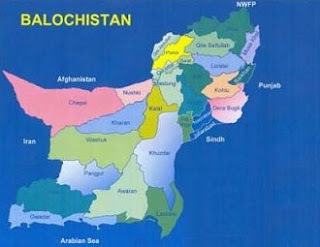 Until recently, most NATO non-lethal supplies bound for Afghanistan were routed through Karachi. But with the closure of the Pakistani route since late November 2011, almost all NATO supplies now enter Afghanistan via the so-called Northern Distribution Network (NDN). Read the full story here. 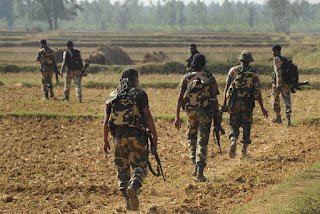 NEW DELHI – Maoist rebels ambushed a patrol team in central India on Tuesday, killing at least 15 paramilitary policemen, a police official said. The policemen were traveling through a densely forested area of Maharashtra state when the rebels set off a land mine, blowing up their vehicle, the official said. Another 13 policemen were wounded in the powerful blast, he said. The official spoke on condition of anonymity because he was not authorized to speak to the media. Read the full story here. 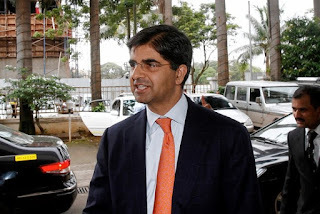 NEW DELHI—The chief executive of India's largest private oil producer slammed the government for proposing an 80% increase in the company's taxes, a measure that could stoke foreign investors' concerns about India's business environment.Rahul Dhir, CEO of Cairn India Ltd., which is majority-owned by the U.K.'sVedanta ResourcesVED.LN+0.23%PLC, said the proposed increase in the "cess" the company pays on each ton of oil it produces would cost it $2.5 billion by 2020 and could discourage it from pursuing a $6 billion expansion plan. "This came out of nowhere," Mr. Dhir said in an interview Tuesday. "The government has been desperately trying to attract investment in the oil-and-gas sector and it hasn't worked. This will just create further disincentives to invest." Read the full story here. 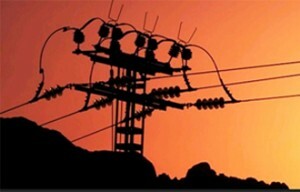 QUETTA: Balochistan government is planning to purchase 1,000 megawatts (MW) electricity from Iran to overcome the power shortage in Balochistan besides ensuring uninterrupted power supply to tube-wells in agriculture sector of the province. Talking to the visiting under-training officers at Civil Service Academy Lahore here on Monday, Balochistan Chief Secretary Ahmed Baksh Lehri said work on solar energy project is also in progress, which on completion would generate additional power for the province. He said Gwadar deep-water port is also being made operational besides organising the mines and mineral sector of the province on modern lines. Referring to irrigation sector schemes, he said work on Kachi canal, small and medium dams projects is also in progress which on completion would bring over one million acres of barren land under cultivation across the province. 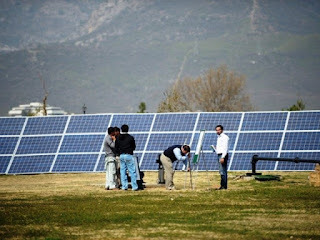 MUZAFFARABAD: From mosques, to homes and streets, Pakistanis are increasingly seeing the light and realising that year-round sun may be a cheap if partial answer to an enormous energy crisis. “It’s the best thing I bought this winter,” says Sardar Azam, a former civil servant retired to a river-side home in Kashmir, showing off his water-heating solar geyser installed on the terrace. “The biggest advantage is that you spend money once and it runs on sunlight which is free,” Azam added. The country needs to produce 16,000 megawatts of electricity a day but only manages 13,000 megawatts, according to the Pakistan Electric Power Company. The shortfall means that millions endure electricity cuts for up to 16 hours a day, leaving them freezing in winter and sweltering in summer while hitting industry hard, exacerbating a slow-burn recession. Firdous Ashiq Awan reiterated that the project provides the sole window of opportunity for his country to solve its energy shortage. The pipeline project to transfer Iran's gas to Pakistan is essential to resolve Islamabad's energy crisis and it will play a leading role in developing industries and creating jobs for generations to come, Awan said on Monday. She added that Pakistan would make utmost efforts to implement the vital project and resist against any foreign pressure regarding the issue. The minister emphasized that Islamabad has expressed its full support for the implementation of the IP project. The 2700-kilometer long pipeline was to supply gas for Pakistan and India which are suffering a lack of energy sources, but India has evaded talks. 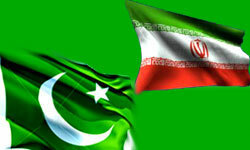 Last year Iran and Pakistan declared they would finalize the agreement bilaterally if India continued to be absent in the meetings. CIA drone war in Pakistan is Ending? The past year has seen the number of CIA drone strikes in Pakistan plummet. In the first three months of 2012, there were 11, compared with 21 in the first three months of 2011 and a record 28 in the first quarter of 2010. 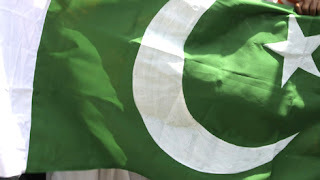 On Monday, Pakistan's parliament started to debate whether the United States should be made to stop CIA drone strikes altogether in the Pakistani border regions with Afghanistan and also whether the U.S. should apologize for NATO airstrikes that killed some two dozen Pakistani soldiers late last year. Read the full story here. Taiwan & China - Is Cross-Strait Honeymoon Over? 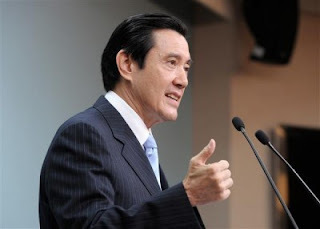 The thaw in cross-Strait relations during Taiwanese President Ma Ying-jeou’s first term was unprecedented – but the honeymoon period may soon be over. The rapid expansion of ties between the Chinese Nationalist Party (KMT) and Chinese Communist Party (CCP) governments were established through seven rounds of bilateral talks, 16 agreements, and one “consensus” on cross-Strait investments. 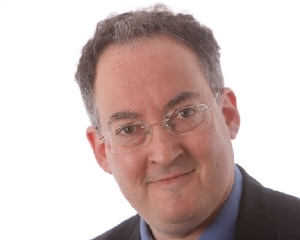 Concomitantly, people-to-people exchanges have increased exponentially as the two sides negotiate terms of engagement. But while the KMT and CCP agree upon the need to institutionalize cross-Strait ties on the basis of the so-called “1992 Consensus,” other sensitive political issues were shelved in the interim. 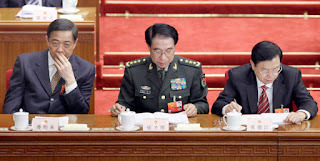 Now, despite the bilateral public displays of camaraderie by political leaders, who tout the positive-positive gains of engagement, the deeply rooted political distrust that Presidents Ma and Hu Jintao brushed aside during the past four years is quickly coming to the fore. 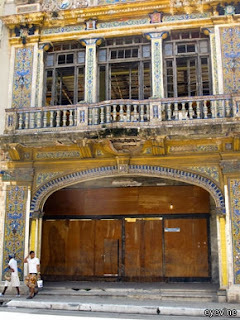 JUST OUTSIDE SANTA CLARA, a city in central Cuba, in a hotel that was once a Communist Party hospitality centre, a trio of musicians entertains a large group of German tourists. The trio belts out “Hasta Siempre, Comandante”, an anthem to Che Guevara, whose capture of an armoured train at Santa Clara prompted the collapse of the Batista dictatorship. “I wouldn’t sing this song for an audience of young Cubans. But it has international resonance,” explains one of the trio. Then they strike up “Chan Chan” from the Buena Vista Social Club. That music is associated with the Batista years, consigning its elderly practitioners to neglect under communism until Ry Cooder, an American, turned them into international superstars in the late 1990s. In a confusion the government has happily exploited, they have become incongruous icons of the Cuban revolutionary myth. Read the full story here. The survey found that more than two-thirds of those polled — 69 percent — thought that the United States should not be at war in Afghanistan. Just four months ago, 53 percent said that Americans should no longer be fighting in the conflict, more than a decade old. The increased disillusionment was even more pronounced when respondents were asked their impressions of how the war was going. The poll found that 68 percent thought the fighting was going “somewhat badly” or “very badly,” compared with 42 percent who had those impressions in November. The latest poll was conducted by telephone from March 21 to 25 with 986 adults nationwide. It has a margin of sampling error of plus or minus three percentage points. Read the full story here. The 21st-century Asian order has entered a long interregnum between the hub-and-spokes security bilateralism of the US-engineered San Francisco system and the re-emergence of East Asia’s pre-modern international system.To harmonise the interests of individual states with the requirements of the system at large in the decades ahead, the foremost challenge in the Asian Century will be to nudge the region’s geo-politics toward cooperation — perhaps even aloose concertof powers — as opposed to competition, conflict and division. India’s role and strategic orientation within this 21st-century order presents something of a conundrum. 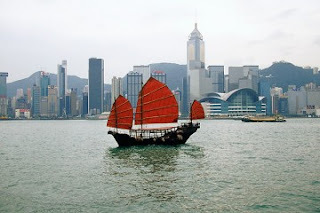 It was a non-participant within the San Francisco system and bears only dim familiarity with the earlier workings of the East Asian international system. 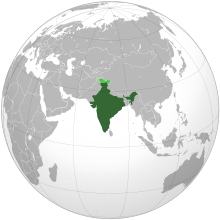 Yet without the rise of India, on course to become the world’s third-largest economy by 2025, the Asian Century will not progress very far. Read the full story here. In recent speeches, interviews and private meetings, President Obama has been trying hard to dissuade Israel from bombing Iran's nuclear facilities. All along, however, he's actually made it much easier for Israel to attack. The capabilities and will of Israel's military remain unclear, but the critical parts of the administration's Iran policy (plus the behavior of the Islamic Republic's ruler, Ali Khamenei) have combined to encourage the Israelis to strike. Public statements define a president's diplomacy, and in front of the American Israel Public Affairs Committee this month Mr. Obama intensely affirmed "Israel's sovereign right to make its own decisions about what is required to meet its security needs." He added that "no Israeli government can tolerate a nuclear weapon in the hands of a regime that denies the Holocaust, threatens to wipe Israel off the map, and sponsors terrorist groups committed to Israel's destruction." KABUL — Two NATO soldiers killed by a man in Afghan army uniform in southern Afghanistan on Monday were British, an Afghan official and a Western security source said. The Western security source, who requested anonymity, told AFP that an Afghan soldier was also shot dead, as well as the killer, in the incident at a provincial reconstruction team base in Lashkar Gah in Helmand province. The incident raised to 13 the number of foreign troops to die in a series of such killings this year. 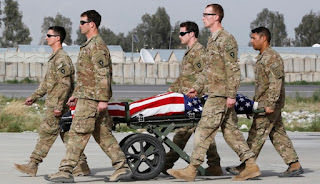 Almost one in seven of the 90 foreign soldiers to have died in Afghanistan since January has been killed in so-called "green-on-blue" attacks, significantly raising tensions between NATO forces and their local colleagues. NATO's US-led mission in Afghanistan is training Afghan forces to take over national security by the end of 2014, allowing foreign combat troops to withdraw after a costly and lengthy war against the Taliban insurgency. Cash-starved Kingfisher Airlines may be lobbying hard with the government to permit foreign airlines to invest in domestic carriers, but its flamboyant promoter Vijay Mallya said on Monday global investors do not seem to be confident about investing in India. 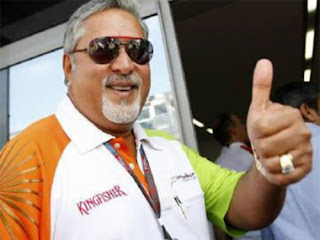 "India's global image has taken a beating," Mallya said on the social networking platform Twitter. Kingfisher which is neck-deep into financial problems, is lobbying hard with the government to allow foreign airlines to invest in domestic carriers. In his budget speech, finance minister Pranab Mukherjee had said that permitting foreign airlines to buy upto 49% stake in the Indian carriers was under active consideration of the government. 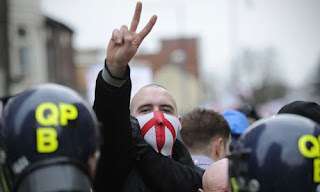 Far right and anti-Islamic groups are due to hold a rally in Denmark on 31 March organised by the English Defence League (EDL) which it claims will be the start of a pan-European movement. The rally will take place a few weeks before the start of the trial of Anders Behring Breivik,the far right extremist who has confessed to the murder of 77 people in Norway last July, and is expected to attract supporters of at least 10 anti-Islamic and far right groups from across the continent. It is the second time the EDL has tried to hold a meeting in Europe. In October 2010 about 60 supporters turned up to a planned rally in Amsterdam and were attacked by Ajax football fans and anti-fascists. 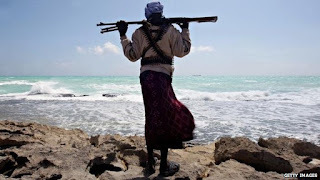 The release of a UK hostage in Somalia has drawn attention to the British security firms which are increasingly dominating Somalia's lucrative anti-piracy industry. It was a family ransom which ultimately secured the release of Hertfordshire social worker Judith Tebbutt this week, but there have been media reports of negotiators who paved the way for the 56-year-old's safe return. With the UK government saying it refuses to talk to kidnappers, the door has opened for private security firms to fill the void in this troubled African country. The Times reported that specialist lawyers at one such company, Control Risks, spent months thrashing out the deal - but the firm will not confirm or deny helping free the mother. Read the full story here. Coutts & Co, the private bank used by the Queen, has been fined £8.75m for failing to take required precautions against money laundering in the first case to emerge from a Financial Services Authority probe into the way banks handle accounts of overseas politicians and other high-risk customers. The FSA said that Coutts, which is part of the Royal Bank of Scotland, routinely failed to gather crucial information about so-called politically exposed persons, including the source of their funds, and did not properly monitor their transactions. These violations of UK rules continued from 2007 to 2010, when they were uncovered during the FSA’s industry-wide review. The government has insisted that it will not disclose details of private meetings between David Cameron and Conservative party donors in the wake of claims by the party's treasurer that large cash payments could secure intimate dinners with the prime minister. 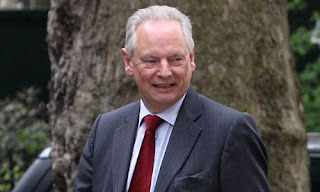 Francis Maude, the Cabinet Office minister, said demands for lists of visitors to Cameron's flat in Downing Street were unreasonable, but insisted the party had nothing to hide. The Commons Speaker, John Bercow, is likely to accede to Labour requests for an urgent government statement on the issue. The opposition has already demanded an independent investigation into the claims. The X Factor repeatedly lost out to Strictly Come Dancing in last year’s bitter ratings war. And Simon Cowell’s reign as the king of Saturday night television appeared even more vulnerable after the BBC’s new show, The Voice, beat Britain’s Got Talent for the 20 minutes that they clashed this weekend. 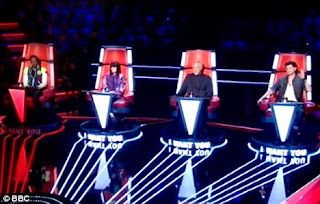 Cowell’s ITV show topped the ratings overall with an average of 9.4million viewers – down 500,000 on a year ago – compared to The Voice’s 8.4million, according to overnight figures. 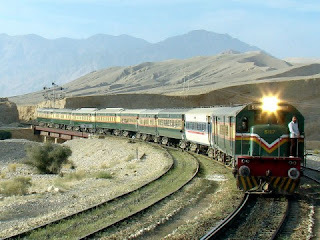 LAHORE - Pakistan Railways (PR) is going to privatize four rail cars between Lahore and Rawalpindi including 101 Up Subakraftar, 102 Down Subakraftar, 103 Up Subakhuram and 104 Down Subakkhuram. A senior officer of railways said that the department had made a set of four trains and also had invited interested parties for biddings in this regard. It is pertinent to mention here that Pakistan Railways has already privatized two trains including Business Express and Shalimar Express within last four months. Operation of Shalimar Express was closed due to unknown reasons and was restored and privatized. The unions of Railways Employees opposed the privatization and said that the decision was made just to oblige a few. Growth potential of a country devoid of natural resources remains seriously handicapped, but is less vulnerable to foreign intrigues and intervention. Conversely, a country rich in resources remains vulnerable to foreign intervention. Imperialist powers greedily searching for more resources mark the resource rich countries and go to the extent of waging wars in pursuit of their mercantile interests. 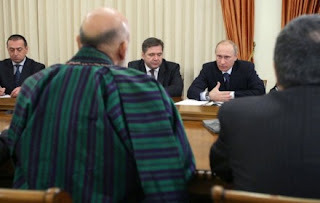 They feel no compunction in stealing mineral resources of weaker nations incapable of fighting bigger powers. Geostrategic importance of a country/region is another factor which becomes an attraction for expansionist powers with imperialist agenda. Pakistan is focused on assuaging global concern over the safety and security of its nuclear materials and management of its nuclear power plants at the Seoul Nuclear Security Summit, which kicked off Monday for a two-day run. 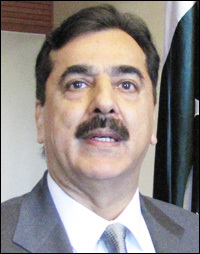 Pakistani Prime Minister Yousuf Raza Gilani, leading a 30-person delegation that includes Foreign Minister Hina Rabbani Khar, Ambassador to China Masood Khan and Ambassador to the United States Sherry Rehman, is seeking to showcase to the world his nation’s “efficient command and control over its stocks of nuclear materials” at the largest global gathering on nuclear security ever. ISLAMABAD — The Indian James Bond can disarm a bomb while flying a helicopter, dodge bullets from deadly assassins and save his country from nuclear disaster. But getting into cinemas in neighboring Pakistan has proved to be an impossible feat. Pakistan banned the Indian film "Agent Vinod" a few days before its scheduled release, likely because of its critical portrayal of the country's generals and spies. They are shown providing support for the Taliban in Afghanistan and scheming to set off a nuclear suitcase bomb in archenemy India's capital. "It was our judgment that it should not be allowed to be screened," the vice chairman of Pakistan's Film Censor Board, Muhammad Ashraf Gondal, told The Associated Press on Monday. "It falls under the negative codes of our censor." 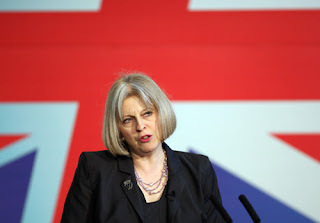 HOME Secretary Theresa May was yesterday accused of “rank hypocrisy” after she said Scots independence would leave the country open to mass immigration. The Tory bungler’s claims came just months after she faced calls for her resignation when she admitted letting thousands of people into Britain without going through immigration or customs. But brass-necked May arrived at the Scottish Conservatives conference in Troon yesterday to warn an independent Scotland could face an immigration crisis because we could not protect our borders. She told the 300 delegates at the party’s spring meeting: “It completely defeats the SNP argument that Scotland would fare better with more control over its affairs when they seek to hand over so many serious areas of government elsewhere.